An ongoing trade dispute with the United States and a slowing economy are casting a big question mark over China just as it is making a tectonic shift to a developed consumer society from a developing industrial society. The latest economic indicators make it abundantly clear the days of double-digit growth for the world’s second-largest economy are gone. But it’s far from grinding to a halt, according to Robert Scott, senior economist at the Washington, D.C.-based Economic Policy Institute. “I think China will continue to grow. It’s too big and has too many resources to stop growing, but I think the rate of growth will slow into the single digits,” he says. 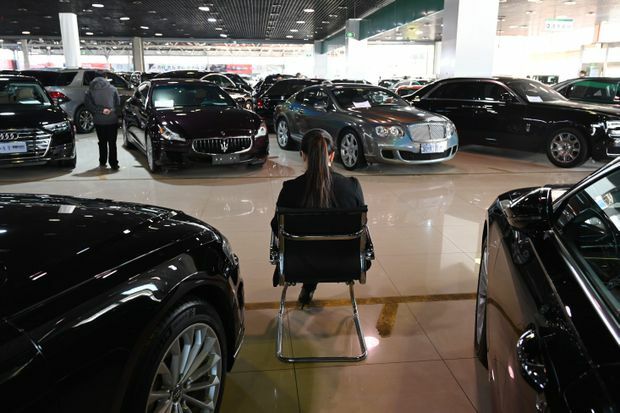 A sales representative waits for customers in a luxury car showroom in Beijing. Financial advisors and investors who want to understand the challenges facing China must dig beneath the quarterly numbers and understand the political and societal changes that will shape the country for decades to come, Mr. Scott says. Although much has been made of the power of China’s emerging middle class to drive growth, power and wealth remain concentrated at the top. “China has failed to develop an adequate domestic market. There’s huge income inequality within Chinese society. There’s a few people at the top, but the average working family still has low levels of income,” he says, adding that China’s centralized communist government has failed to transfer power to the masses by permitting independent trade unions that can bargain for wages. For investors, the old China was a boon. Between January 2006 and June 2015, the benchmark Shanghai composite index rose in value by about 340 per cent. As China’s transition to a consumer economy accelerated, the index has declined by about 40 per cent from that 2015 high. “As a company, you just had to grow with the market and you were golden. Clearly that is changing,” says Matthew Strauss, vice-president and portfolio manager at CI Investments Inc. Despite the slowing economy, he remains invested in China. “From an investment perspective, [China] is still one of the fastest growing big economies. It is still an economy of incredible opportunity,” he says. 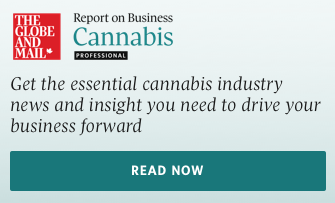 However, Mr. Strauss’ strategy has changed to focus more on the financial results of individual companies and how they are geared toward long-term growth. “Companies now really have to focus on execution, cost controls, how to manage margins, protecting or gaining market share,” he says. Mr. Strauss sees the best opportunities in companies linked to the growing bank accounts of China’s middle class: education, health care, insurance, wealth management and the internet. “These are some of the industries that, despite the changes we have seen, will continue to grow at a very fast pace,” he says. Two China-based internet companies in the CI portfolio are online retail giant Alibaba Group Holding Ltd. and Tencent Holdings Ltd., which provides a social media site and money transfer service similar to PayPal. “Alibaba and Tencent would be two of those big companies that continue to see growth and dominate their space in China,” he says. His top pick among financials is the full-service insurance provider Ping An Insurance Group Co. “Even if growth slows down, Ping An might slow down at the margin but not nearly as significantly as the overall Chinese market,” he says. As more Chinese retail investors enter the market, he warns retail investors on this side of the ocean to beware of market volatility and to avoid buying at the top.